Will God Protect People Who Do Foolish Things? The concept of guardian angels has always been popular, but a simple read of any newspaper clearly shows that most Christians are seldom so protected. The daughter of a friend is about to go on a hazardous international tour. Worse, she is not very sophisticated or “worldly-wise” and we fear greatly for her safety. She is young and attractive, and is going to some risky Muslim countries, and there are – in our opinion – risks that she may be abducted, forced into white slavery, and all that goes with that. I never think negatively …I know God is with me. He will protect me. I know God loves me and nothing will harm me. She is totally correct that God loves us, and loves her. Indeed, everything in the world is his to control and command. But she is totally wrong when she moves from that point to claiming that God will protect her. The evidence contradicting her claim is abundantly all around us. Every day people who are every bit as good and faithful God-fearing (and God-loving) Christians as this young lady suffer accidents, illness, misfortunes of all kinds, and even premature death. How could this girl be so convinced that God will wrap her in a protective shield, when God allows all these other equally good Christians to suffer illness, injury and death? God’s promise to us is for joyous happiness in our after-life, not so much for our life at present. We discuss this point in our article “The Reasons Why Bad Things Happen to Good People” and also in our article “When You Should Not Thank God“. Do not turn away from her (Wisdom) and she will guard and protect you; Love her, and she will watch over you. He gives us the strength to endure life’s challenges (2 Corinthians 4:8-9, Ephesians 6:13), but does not promise to spare us from such challenges. He gives us the potential to experience peace and joy in our world (Psalm 23), but does not promise a life filled only with such positive experiences. Indeed, at times, it seems he is deliberately testing us and helping us strengthen our faith by sending adversity our way. Deliberately putting yourself in harm’s way, and then trying to “bully” God into saving you is disrespectful and foolish, and contrary to what we are taught (1 Thessalonians 4:11). 2 Consider it nothing but joy, my brothers and sisters, whenever you fall into various trials. 3 Be assured that the testing of your faith [through experience] produces endurance [leading to spiritual maturity, and inner peace]. 4 And let endurance have its perfect result and do a thorough work, so that you may be perfect and completely developed [in your faith], lacking in nothing. 5 If any of you lacks wisdom [to guide him through a decision or circumstance], he is to ask of [our benevolent] God, who gives to everyone generously and without rebuke or blame, and it will be given to him. So what sort of protection does God promise us in this life? Some people refer to the concept of guardian angels, and this is a concept we feel to be much misunderstood. The Bible does talk about angels in general and guardian angels in particular. Here is a good discussion with plenty of scripture citations. The concept of angels has been further developed over time in the Roman Catholic church, extending some distance beyond Biblical authority, so we feel uncomfortable accepting these teachings, but do note the greater importance and role of angels in the Catholic traditions. For example, here is an article offering “Five facts” about guardian angels that bases their claims of facts not on Biblical statements, but on the teachings of the Catholic church. We’re fairly rigid in our requirement that all statements and claims about Christianity need to be supported by scripture, so consider this unpersuasive and are concerned, as always, when churches create new concepts based on the teachings of their leaders and so-called “traditions” rather than based on the teachings of Christ and the early apostles. Other people have taken the concept of angels to extremes. For example, here’s a nine page article that makes a wide variety of claims about angels in extraordinary detail, but without a single scripture cited to support any of the description or claims being made. There are many other similar articles – something about angels seems to inspire way too much creative writing, unfortunately! We feel it best to look away from such developed flights of imagination and fancy and urge you to do the same. Here’s an excellent article which cautions placing too much reliance on angels. We acknowledge the existence of angels, and we further acknowledge that some angels seem to be tasked with protecting some people. But, we have to point to the abundance of evidence that shows clearly that the number of times guardian angels save either children or adults from danger is very limited. As stated above, good Christians, including children, suffer injury, misfortune, and death, on a regular basis, all the time, every day. This well written article concludes that angels are an unknown, but God’s love is a known constant. 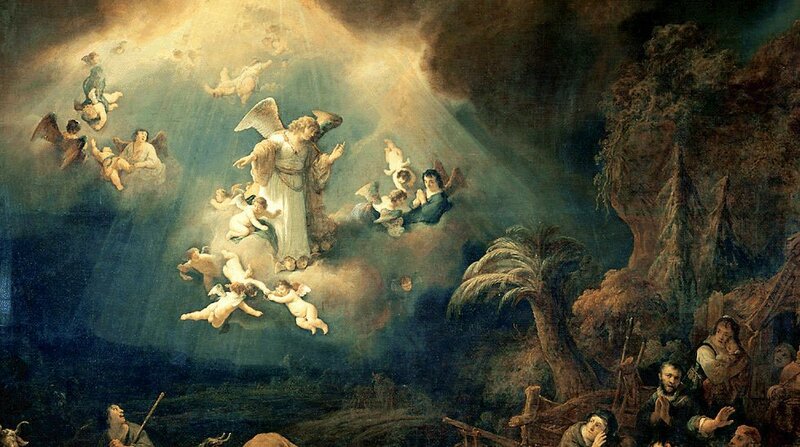 We feel that people who have been specially selected by God for special purposes may benefit from angelic protection, but for 99.999% of us, and for 99.999% of the time, we should not rely upon or expect divine intercession to save us from misfortune. Until such time as it can be shown that Christians are, miraculously and more often than not, escaping harm and leading charmed lives, we feel that whatever the missions and actions of angels are, they are clearly not primarily tasked with protecting all Christians, everywhere, all the time, against all risks and threats. If you have been specifically chosen by God to conduct some task, and if you accept this task and diligently work to complete it, there are plenty of examples in the Bible where God, either directly or through angels, has assisted and protected such people in their tasks and missions. The Bible also talks in general terms about God’s protection for us all, but our sense is that in most of such cases, we are either being told that God gives us the strength to endure misfortune, and/or the protection and comfort of knowing that our short and unpleasant time on Earth will be more than matched by an eternity of wonder in Heaven, subsequently. At times, being a Christian may even make our life more difficult rather than easier, and out of the forge of such unavoidable adversity we can expect to emerge with strengthened faith and a closer relationship with God. However, we should not seek such challenges. God expects us to be wise in how we live our life, and not to seek out undue challenges or problems. In other words, we counsel and pray that this young girl will reconsider her foolish decisions, and understand that God’s love is not the same as God’s protection, particularly in cases where a person foolishly creates problems in their life. To believe that God will uniquely and completely protect oneself from all harm is the height of vanity, and contradicted by the reality all around us. Should Good Christians Observe Lent? Do Some Churches Make It Too Hard to Be a Christian? Is Praying the Rosary a Christian Practice? Does the Bible “Get in the Way” of Enjoying a Christian Life?